Froese, Rainer, and Daniel Pauly, eds. (2011). 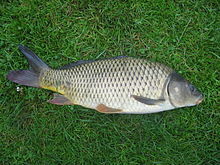 Species of Cyprinus in FishBase. 2011年August月版本.